Jessmin Howarth was born in England in 1892 and died in 1984 at the age of 92. Her parents died when she was young, leaving her to be raised by guardians. She had a love of music and in 1910, at the age of 17, she went to Dresden to study violin. While there she began working with Emile Jaques-Dalcroze, the creator of "eurythmics," a system of musical education in which physical movements represent musical rhythms. In 1912 Howarth gave up the violin and became a full-time student at the Institute of Dalcroze Eurythmics. There she met Jeanne de Salzmann, with whom she had a lifelong friendship. When Dalcroze was forced out of Germany for political reasons, the two friends went separate ways—Howarth to Geneva and de Salzmann to Georgia in the Caucasus. In 1917 Howarth moved to Paris and began working with Jacques Copeau, an influential French theater director, teaching eurythmics, pantomime, and dance. She later became a choreographer for the Paris Opera. In the summer of 1922, Jeanne and Alexander de Salzmann came to Paris. Howarth had feared them dead in the Russian Revolution. The de Salzmanns introduced her to G. I. Gurdjieff. She was accepted as a student, moving to the newly established Prieuré and eventually becoming one of the principal instructors of Gurdjieff's Movements. In 1934, after living in the United States for several years, Howarth and her daughter came to England. 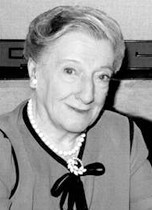 Howarth, with Rosemary Nott, a pianist whom she had first met at Dalcroze's Institute, began teaching the Movements at Lyne, P. D. Uspenskii's English country estate. They taught weekly classes there for two years, during which time Howarth came to highly regard Madame Uspenskii, who encouraged her to work with Gurdjieff in Paris, but she refused. With World War II approaching, Howarth and Dushka returned to New York. They then moved to Colorado Springs, where Duska began attending college. However, when the Uspenskiis established Franklin Farms in Morristown, New Jersey, Madame Uspenskii asked Howarth to join them and teach the Movements to their students. Mother and daughter moved to New York, and Dushka completed college at Barnard. In 1948 Gurdjieff came to New York. Howarth's hostility toward him lessened and she allowed Dushka to visit with Gurdjieff for the first time. Dushka afterward went to Paris to work with him during the last year of his life. When Gurdjieff left for Europe he assigned Howarth to be the director of Movements in America. After Gurdjieff's death, Howarth worked with Madame de Salzmann to preserve the Movements in notations, drawings, and films, also training many dancers and instructors. She worked on the Movements featured in the film version of Gurdjieff's Meetings with Remarkable Men. She spent the rest of her life teaching the Movements and was still giving seminars until her death. 1. Jessmin Howarth and Dushka Howarth, "It's Up to Ourselves": A Mother, a Daughter, and Gurdjieff (New York: Gurdjieff Heritage Society, 1998), xi.